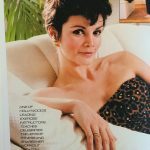 You are here: Home / Pilates / Pilates Interviews / A new career at 68! 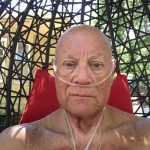 A new career at 68! a couple years ago after giving students some very specific anatomical alignment corrections in a dance class at Point Park University in Pittsburgh, PA. They asked him: “How do you know all this?” and the he replied in jest: “That’s why they call me Swami Doug!”.The name stuck with him ever since. How old are you and what is your background? 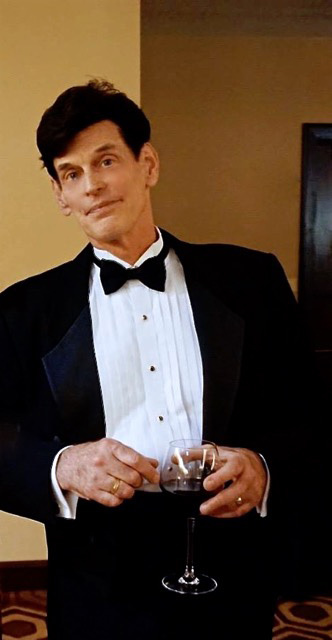 I turned 68 this past June, and I have recently retired from full-time teaching as a Dance Professor at Point Park University after 40+ years. 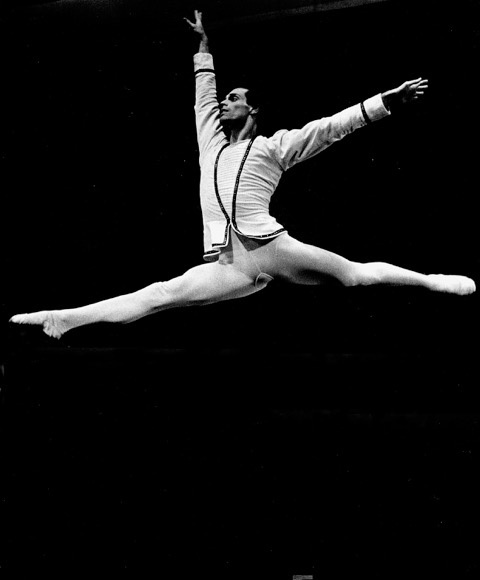 In all, I have enjoyed a 49-year career in Dance. 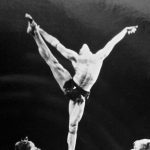 But briefly; after earning my BA in Dance from Butler University in Indianapolis, IND in 1972, I spent a year on scholarship at the School of American Ballet in NYC. Then I went on to dance professionally with the Ballet du Grand Theatre in Geneva, Switzerland, the New Jersey Ballet and the Luigi Jazz Dance Company in NYC. Back in Pittsburgh I danced with the Pittsburgh Ballet Theatre, the American Dance Ensemble, The Extension, the Pittsburgh Opera, the Pittsburgh Dance Alloy and the Kevin Maloney Dance Theatre. 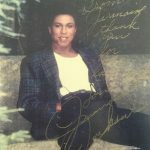 I also have a pretty extensive professional musical theatre background as well having performed in over 30 musicals both on and off-Broadway in NYC and in summer stock theatres in Ohio, Georgia and Florida. 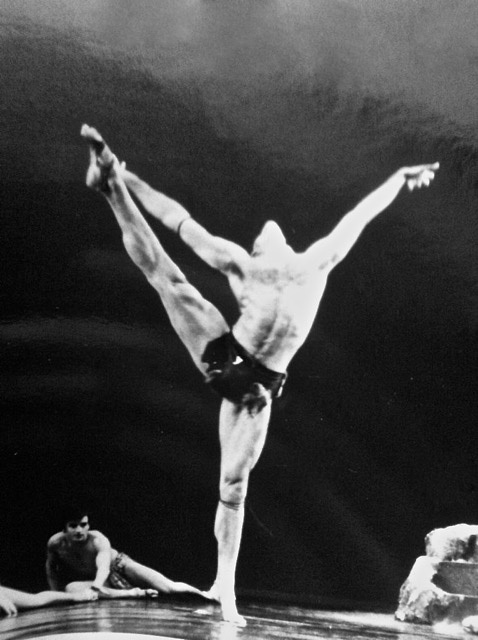 I joined the dance faculty at Point Park University in 1976 while in my 2nd season with the Pittsburgh Ballet Theatre. Besides teaching Jazz Dance there, I began to explore choreography and went on to create a body of work over the years that includes over 60 original productions including: The Jazz Nutcracker, The Snow Queen, Allegro Jazzioso, Transmigration, Arc of Descent, MoonDance and Let’s Swing. This Pilates work is truly the “Fountain of Youth”. I decided to make Pilates my new 2nd profession about three years ago. 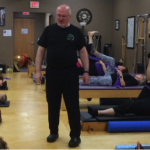 I began studying Pilates in late 2012 to find some way to get my body in better shape and avoid impending right shoulder rotator-cuff surgery. Due to the physical stress of a 49-year professional dance career, I have had to undergo surgical repair on my right ACL, a right hamstring tear and on my left hip. I also found myself not really exercising or moving well due to arthritic issues in my knee, wrist, ankle and hip joints. 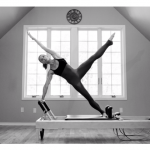 After I witnessed personally how my body was getting stronger and my freedom of movement was returning after a year of Pilates privates, I decided in 2013 to take the Pilates Mat & Reformer Teacher Training Program at Harmony Pilates in Pittsburgh where I was studying. The wonderful teachers there (Sueann Fenchel, Dilla Mastrangello, Lynn Murray-Colman, Tamar Rochelle and Sharon Scuotetaguazza) taught me so much about the many ‘layers’ of teaching Pilates. With their guidance, I earned my Mat & Reformer Teacher Certificate there in 2015. During this time I was excited to be bringing all this ‘new’ Pilates information back to my dancers at Point Park as well. 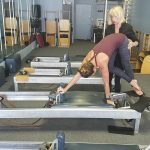 I enjoyed seeing how they were really benefitting from the increased sense of center, truer alignment, enhanced core and joint stability that all come with solid Pilates instruction. That encouraged me greatly. 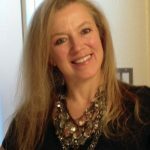 With an eye towards retiring from teaching dance and making Pilates a new career path, I returned to Harmony in 2016 to take the 450 hour Pilates Comprehensive Teacher Training Program and earned my Comprehensive Teacher Certificate in January 2017. Then in March 2017, I took the Pilates Method Alliance/Certified Pilates Teacher Exam successfully! I now have my full comprehensive PMA-CPT certification….and a new career at 68! 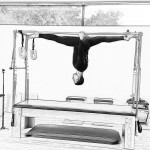 The training at Harmony was deeply rooted in classic Pilates, but instilled a keen eye for the needs of ‘individuals’. There was also a deep appreciation of the lineage and important somatic contributions brought to Pilates by Eve Gentry and later Michele Larsson. 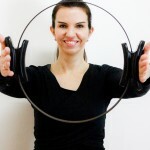 I trained at Harmony for 4 years, and worked primarily on the Balanced Body equipment. My dance background proved to be very valuable to me when I began to study and learn Pilates in 2012. For one thing, I had developed quite a knowledge of the body and how it moves and its’ anatomical structures. I also had the ability to pick up information very quickly and process it in my own body. 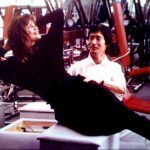 But maybe even more, I had been teaching dance/movement/exercise for 40 some years already….and that brought with it a sense of confidence in my teaching skills. I found my extensive dance background as a dancer and dance teacher was a huge help to me as I moved into teaching Pilates. 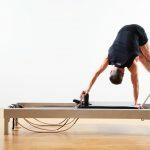 I would suspect that if a person did not have extensive teaching experience or a solid personal movement background in either dance, fitness or yoga…it would be much harder for them to become a skilled and intuitive Pilates teacher. Plus in addition to my studies at Harmony, and teaching at Moxie and Sthiel Pilates, I have attended the past 4 Pilates Method Alliance (PMA) Annual Meetings starting with Fort Lauderdale, FLA in 2013. Besides the opportunity to meet so many people in the Pilates community from all around the world, these conferences allowed me to deepen my knowledge through workshops with some of the top Pilates and somatic ‘gurus’ in the world like Irene Dowd, Deborah Lessen, Eric Franklin, Michele Larsson, Benjamin Degenhardt, and attending amazing workshops on working with issues like scoliosis and post-surgery rehab based on the latest research available. 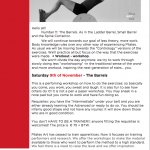 Can you earn a good living as a Pilates teacher ? 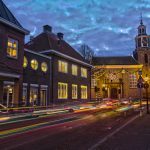 That is my goal and though I am really just starting out on this as a primary income source, I am getting very positive feedback and have already a small group of committed, and enthusiastic private clients. 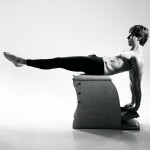 What is your opinion about Traditional, Classical and Contemporary Pilates? I have noticed what seems to be a somewhat ‘touchy’ divide between Classical and Contemporary Pilates. I will consider ‘Traditional’ as the same as ‘Classical’ since I am not aware of any differentiation between the two really. Being in the teaching business for over 40 years, I have to say I feel that “it’s all good” when taught well and in detail. There is NO substitute for ‘classic’ Pilates to bring true stability and centering to a person just beginning! It is ‘the thing itself’. 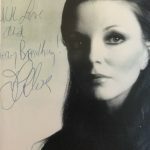 But beside the wonderful work stemming from Joe and Clara and then Romana of course, there are also very valuable teaching from other lineages like Kathy Grant and Eve Gentry. 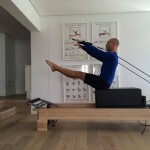 However the Contemporary style can offer some very nice variations, and challenges, for Pilates teachers and clients. 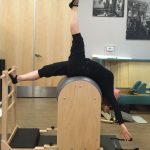 As long as the foundation is rooted in the true Pilates fundamentals and the classic Pilates foundation is understood clearly by the practitioner; an advanced client, especially professional level dancers and gymnasts who are required to function in multi-planal movement sequences will enjoy and benefit from variations and/or combinations of the selections of the standard rep. Dancers, for example, who are accustomed to learning complex combinations and movement sequences quickly will lose interest if the lessons stay too simple for too long. But again, if the classic foundation is not there to begin with then there is no benefit to get ‘fancy’ or ‘clever’. There will be no real progress then or real advancement without the basic, classic, understanding first of the root principles. Much like in training dancers or athletes! And after 40+ years as a choreographer, you should expect some ‘creativity’ from me, eh? 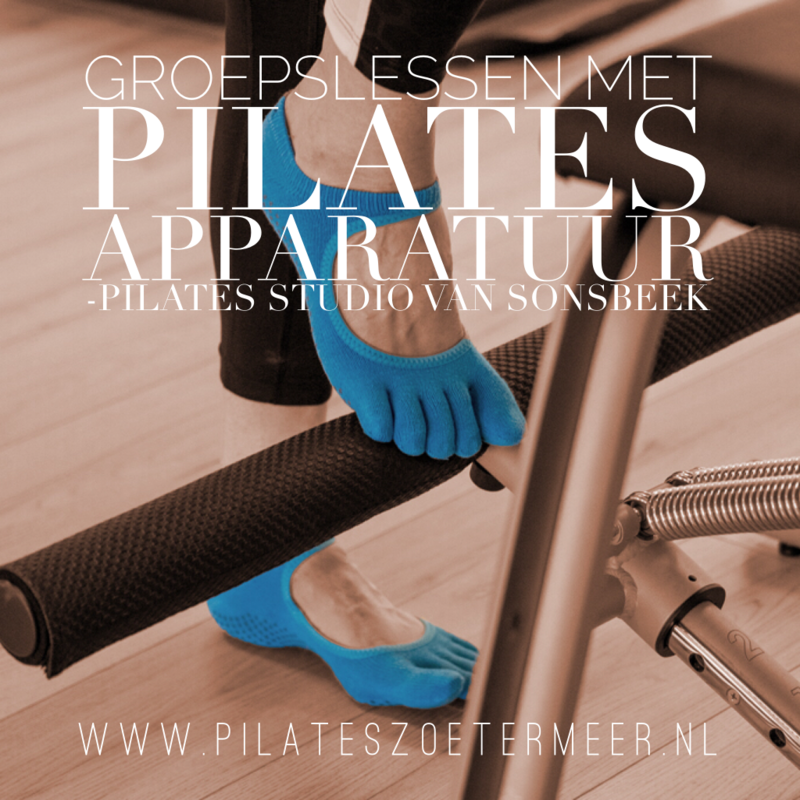 🙂 And as far as equipment goes…there are some amazing options offered on newer, but still very excellent, makes of Pilates equipment. I do like the ability to ‘fine-tune’ the Reformer springtensions like on the Balanced Body and Stott reformers. And having the option of three heights for the Footbar is great, especially for exercises like the Stomach Massage series. I also really like having the movable leg/arm spring bar on the BB and Stott Cadillacs! That usually has a center attachment for the Single Leg Spring Series. 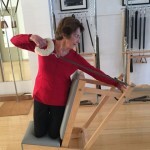 The split-pedal on Stott Stability Chair also allows you to work each arm independently when you want to and to add some really nice ‘twisting’ variations to some of the standard/classic rep.
Do you ever get bored by Pilates? Not yet! I really love this work on my own body as well as my clients! Sometimes people call themselves a Pilates trainer after one weekend course or a Pilates workshop. What is your opinion about that? What Pilates apparatus is your favorite and your least favorite? Do you prefer a certain brand? I have recently fallen in love with the Wunda (Stability) Chair. It really ‘reveals it all’ to you: balance, core stability, coordination, standing leg work integration, even some sequences that return to the Mat! Quite ‘humbling’ really. I seriously do NOT have a least favorite apparatus! I do like the Stott equipment best! But do miss having a Ped-o-Pole!!!! 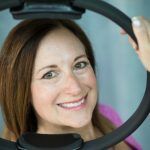 I had the opportunity last year to learn the Peak equipment system at a health club I was teaching at in Pittsburgh seeing clients, and teaching at the Moxie Mind & Body Pilates Studio in downtown Pittsburgh. These past 2 years made it possible for me to also learn to work the Gratz equipment there. 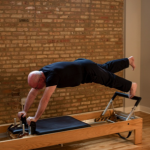 I do have to give a ‘shout out’ to Moxie owner Aubrey Johnson who was so generous in helping me learn the Gratz equipment and also in being a very amazing ‘mentor’ to me as I was evolving as a Pilates teacher. Lots of great ‘pointers’! And I have also had great fun now at Sthiel Pilates working on the Stott equipment there. I feel pretty good about having the challenge, and the chance, to learn all these different equipment systems. 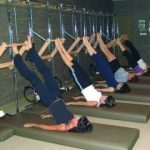 Each one has special qualities that make it unique and very effective in teaching certain Pilates repertoire. I would have to say that at this point I do prefer working on the Stott equipment. Especially the split-pedal Stability Chair and the Reformer w/Tower conversion that has extenders at the head of the Reformer for the straps/cords so they don’t hit against the shoulder blocks!! What Pilates exercise is your favorite and why? Which Pilates exercise is your least favorite? At first my preference was for exercises involving flexion like Teaser, Jackknife, Short Box series, Tower, and I still love them. 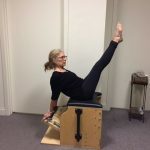 These days I am really enjoying the full Standing Arm Spring Series in the Cadillac rep, the standing work on the Reformer (Side Splits, Front and Back Splits, Standing Squats) and the Leg Press Down, Forward Lunge and Step Downs on the Chair! 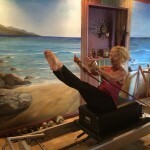 My least favorite exercises are Side Bend and Mermaid on the Reformer! The lack of mobility in my knees, hip joints and right shoulder rotator cuff issues make it very uncomfortable for me to sit on the carriage and push out with any ease…even in 2nd gear! I can attend to these exercises much more ‘compassionately’ on the Chair or Cadillac, thank God! I deal with my own body issues entirely with Pilates!! Do you teach more male or female clients? I teach more female clients. 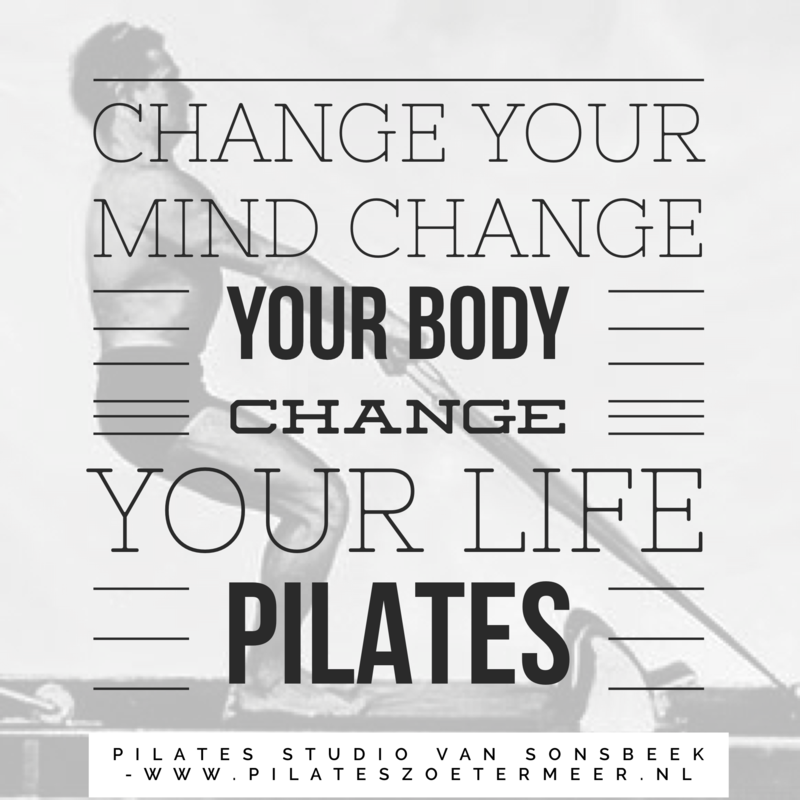 How did Pilates change your life? Literally, I have been able to ‘return to life’ through Pilates. I have not been in this good a shape mentally or physically in 15 years! Do you think that the perception of Pilates has changed to the people in the last 10 years? If yes, how? I do believe the perception of Pilates in the larger cities in America had changed for the better, like in NYC, Los Angeles, San Francisco, Chicago. People there are more likely to know about Pilates and actually study it as a preferred fitness option. But in smaller cities like Pittsburgh there is still much confusion about what Pilates actually is, and how it’s different from yoga. Sometimes the cost surprises people when they ask about it. 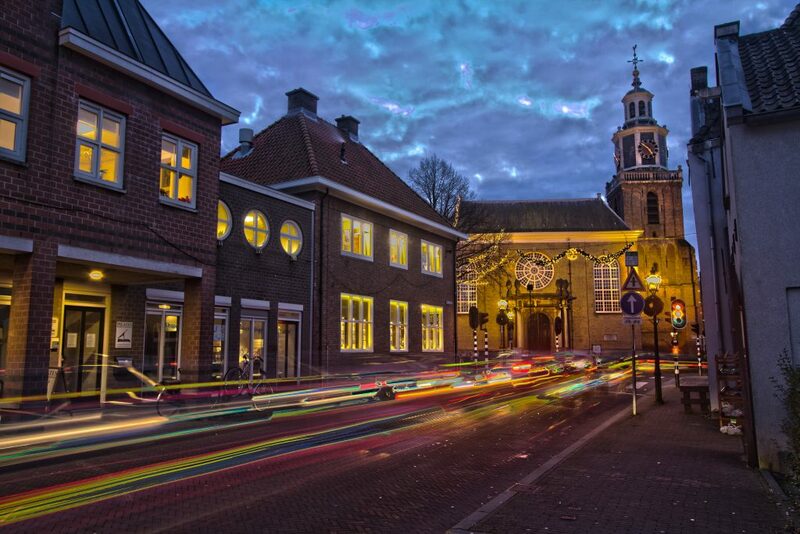 I am finding that it is generally seen as ‘too expensive’ for people living in smaller cities. What would be your top 5 tips for Pilates students and/or newbies? Make the commitment for your own wellbeing & health! 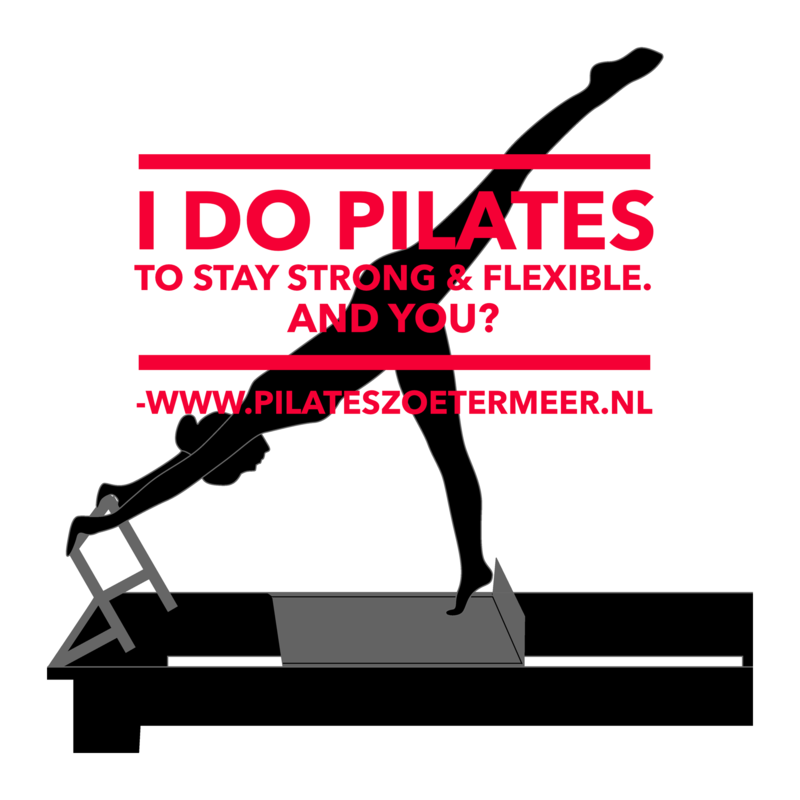 What is your main advise to the future trainers who want to be Pilates instructors? Spend the money for a solid Teacher Training Program that can lead to a respected certification. You get what you pay for in Life. Think ‘quality’ of instruction over ‘quantity’. Do your homework and workshops! Spend time on those. Also, when you have to learn all the Mat and Reformer exercises and in their exact order by memory: Make up your ‘song’! A great teacher at Harmony gave me this VERY helpful suggestion and it really helped me get that requirement accomplished. For example: create a simple ‘song’ you can recall easily by using a cue word or abbreviation for each exercise in succession and putting them all together in a rhythmic pattern. For the Mat you could do: “100…Rolling Up and Over…Single Leg and Ball. The 5’s…and Spine Stretch Forward etc”. It really works! What do you tell people if they ask you what Pilates is? How does it differ from yoga for example? I tell them that Pilates is a system of exercises designed by Joe Pilates. That tones and strengthens and lengthens your whole body, centers your mind and integrates your core torso with your legs and arms. You learn to breathe deeply and effectively. It is not just ‘stretching on a mat’ and then resting/meditating at the end. Pilates keeps you aware and focused the whole hour. And that’s how you will learn to get ‘clear’ and centered in your life. And then you have lots of energy to go about the rest of your day. What makes a Pilates teacher a better Pilates teacher? I often hear that in gyms “Pilates” is taught without, for example, The Hundred or other original exercises. What do you think about that? 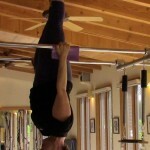 Pilates as taught in gym situations is mostly, by necessity, working with inexperienced groups on the Mat. In that situation it might be hard to always have ‘regulars’ in the class, so development might be slow. It might not be safe to go into the 100 right away. Some Pilates Fundamentals may be needed to get attendees safely to the higher level of the rep. And they themselves can be a good workout! I generally teach between 5-6 classes a week, and they are mostly privates. What do you like the most about teaching Pilates? I love hearing about how my clients feel after a session! I also like it when they suddenly have that moment when they actually recognize how much progress they have made! That’s sweet! Have you taught (or still teach) a famous person? Well, I did re-connect with Brett Miller, a former dance student of mine who is now living in Sweden and travelling the Pilates world as editor of Pilates Intel online! I gave him a ‘fun’ Reformer session at Moxie when he came to Pittsburgh for a Seminar about a year ago! 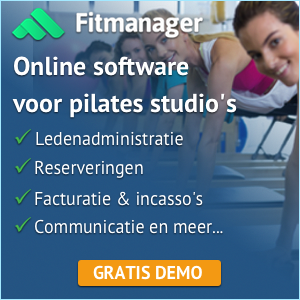 What is your opinion about the future of Pilates and what is the biggest insight Pilates gave you? This Pilates work is truly the “Fountain of Youth”. If we can keep getting the word out to people, build on the medical respect that the PMA has worked so hard and successfully to obtain and keep the costs from getting out of hand, I see the future of Pilates as quite bright! How many times do you workout yourself? I work out personally at least 3 times a week! I like to dedicate one whole personal workout session to mostly one specific piece of equipment plus some work on auxiliary apparatus. For example: Mondays might be a full Reformer workout with some Magic Circle review work. Tuesdays might be a full Cadillac work out with some Ladder Barrel work as well. Thursdays might be a complete Wunda/Stability Chair workout with some additional Spine Corrector work. Is there still an exercise (or more than one) you haven’t “nailed” yet? Will you keep on practicing and teaching Pilates? I am looking forward to both practicing and teaching Pilates for the rest of my life! What is your favorite Pilates quote? Do you follow a certain diet, like a plant-based diet or something? Is there a Pilates book you like to recommend to our readers? I do not own my own studio. I am presently seeing clients at the Sthiel Pilates & Movement Center in the Shadyside/East End area of Pittsburgh. People can reach me there to schedule sessions at the studio. I also see clients as an Independent Contractor at Moxie Mind & BodyPilates Studio in downtown Pittsburgh as well. Pilates kept me in exceptionally good shape my entire life. Pilates truly improves the quality of life. An interview with Second Generation instructor, Darien Gold. Wunderbar !! Its the Wunda Chair !! michelle smith on Am I worth the weight? Pilates focuses on developing the powerhouse and flexibility of the spine. I workout daily and I incorporate Pilates into every workout that I do. I do a private session twice a week. Jennifer Stacey with Alex Siragusa. Twist on Chair with Ball.